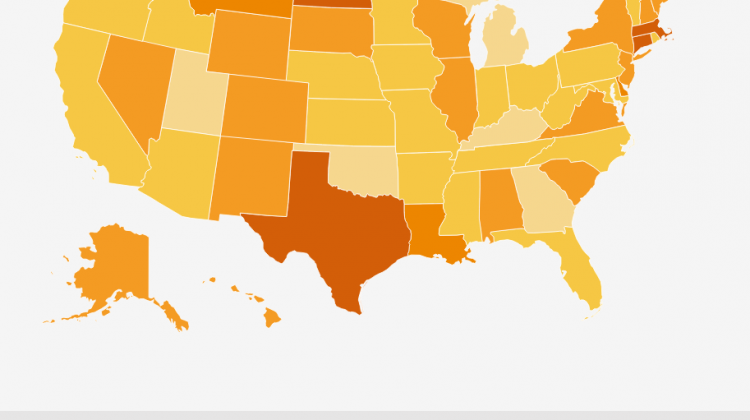 It’s no secret that drunk driving is a huge problem in the United States. According to the National Highway Traffic Safety Administration, in 2013, 10,076 people died in alcohol related crashes in the United States with thousands more injured. 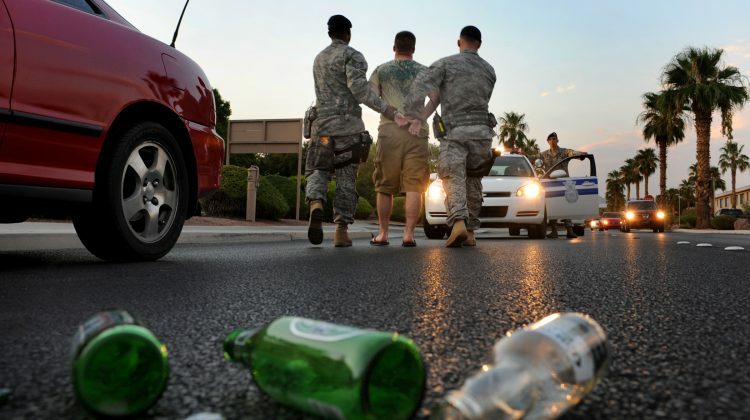 In addition to the tragic loss of life, it’s estimated that drunk driving costs the United States hundreds of billions of dollars each year in terms of emergency services, medical costs, legal fees, and lost productivity. However, depending on where you live, drunk driving may not be getting the attention it deserves. For example, a 2013 report by the Boston Globe found that drunk driving arrests happen at a disproportionately low rate in Boston when compared to other large metropolitan areas such as Washington D.C. or Philadelphia. While the Boston police say that arrest levels are low due to available public transportation and the city’s walkable nature, former Boston police lieutenant, Thomas Nolan, was quoted saying that drunk driving is seen as a secondary priority that takes the police force away from more important duties. Even if drunk driving isn’t a top priority for everyone, this New Years, the local Boston personal injury lawyers at Sweeney Merrigan Law are doing their part to make a difference. 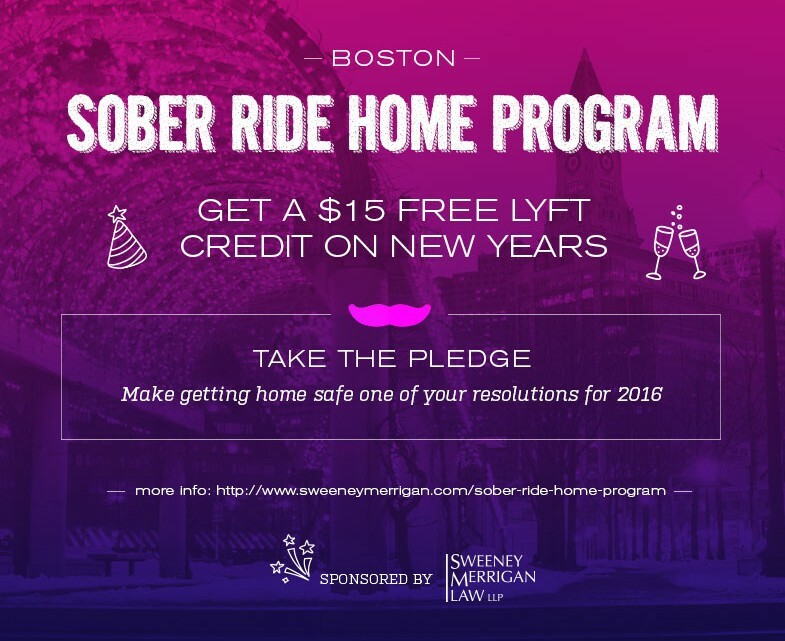 They have purchased $5000 in Lyft credit to front the bill for sober rides in an effort to cut down on the number of drunk drivers and accidents on Boston roadways this holiday season. Through their Sober Ride Home Program, the firm is offering free $15 credits for 333 rides in Boston. By simply visiting the webpage and completing the quick online pledge, users will be sent an individual code worth $15 that can be applied towards any ride in the greater Boston area. This should cover most rides within the city. Boston First Night/Day celebrations attract over one million people to the city, which only emphasizes the need for safe decision making. Especially during the holidays, where celebration and booze go hand in hand, choosing to take a sober ride instead of getting behind the wheel might just save a life. According to their website, the codes are set to go live on December 30th, so do your part to stand against drunk driving this New Years and get rewarded with free rides!